Hi there, and welcome to Charley’s Cordless Drill Extravaganza! Ok, it’s not really an extravaganza per se, but I am Charley and I’d like to welcome you to my cordless power tool website where you’ll find all the info you need to help you choose the best cordless drill you’ve ever owned. I know you have a lot to do and you might not have the time to go through all the information on this website, so below you’ll find some easy links to narrow down your search to the different tools that are included on this site. My cherry picks on the very best of cordless drills and drivers. Learn everything you need to know about cordless power tools. Quick overview of the highest rated tools for all categories. I never dreamed I would ever create a website of any kind so it’s kind of a miracle this even exists, but life is funny that way sometimes – you start a project with something in mind and end up somewhere completely different. That’s the way it works for me, anyway, ’cause I’m some kind of overachiever. Or maybe because I just get distracted a lot. Anyway, this is what happened: I needed a new cordless drill and instead of heading down to the hardware store and grabbing one off the shelf, I thought I’d dabble into doing a little research to see what was out there to choose from. I didn’t think it would be any big deal, just check out a few websites and pick out a drill – easy peasy, right? Yeah, not so much. I mean – there are a ton of cordless drills and they’re all different. They have different features, different extras, different amounts of power, even different grips, for crying out loud! So every time I thought I’d found the perfect drill another cool one caught my eye and I had to keep looking, and somewhere along the line I figured out that drills are only one member of an entire family of power tools that range from screwdrivers to hammerdrills and I was off and running again. In the middle of all this, I thought to myself that there have to be something like a zillion other people just like me who are going through all this too, and why should we all be doing it on our own? 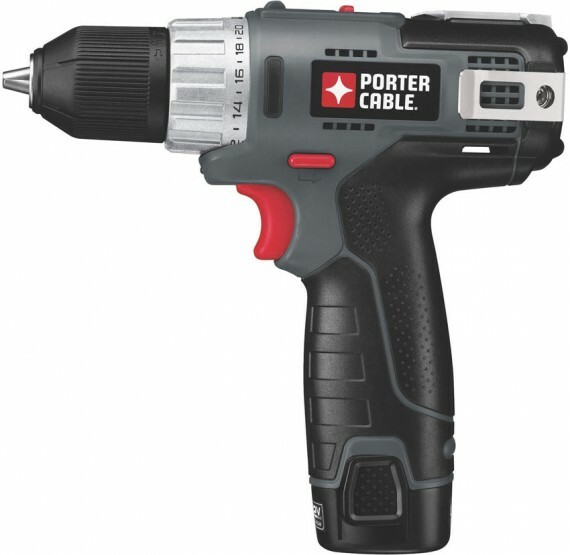 So I decided to pull everything together into one place, write some drill reviews and put it out here so you could find it and not have to go through all the hours of searching that I did. Aren’t I awesome? Why yes I am, thank you for noticing! But on a serious note, I’m glad you’re here and I hope I can help you find just what you’re looking for. My cordless drill is, like me, starting to show its age. It’s banged up, nicked, scarred, starting to lose its grip and no longer has the stamina that it used to and needs more time to recharge than when it was newer. It’s built boats, boat parts, decks, garden sheds, VW camper interiors, kitchen cabinets, work benches, book shelves… 10 years on, it doesn’t owe me anything. 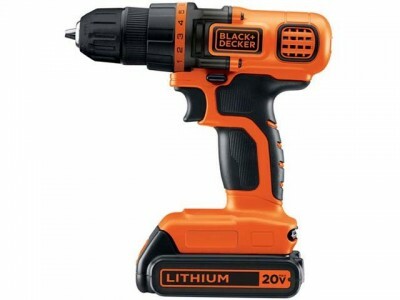 After taking three times as long as it should to drill lightening holes in paddleboard parts, due to short battery life, I knew I finally had to get serious about finding a replacement for the 12 volt NiCad workhorse. It’s time for what you’ve really been waiting for – my top picks from all the tool reviews included on the site. From cordless screwdrivers to drill/drivers and combo kits, I’ve checked out the best and narrowed down the choices to my favorites. 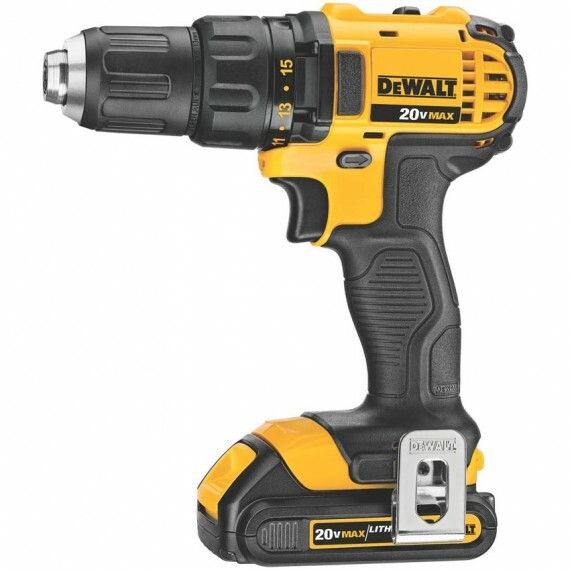 This 20 Volt Max cordless drill hits the sweet spot between performance and ease of use. First of all, DEWALT made sure the gearbox and 1/2 inch chuck are all metal, which adds a lot of points for strength and durability. My favorite features are the automatic motor protection and the 20 second delay on the LED work light. The clutch has 15 settings, the pistol grip is one of the best grips you can find, and it comes with two batteries, a fast (30 minute) charger, and a hard carrying case. 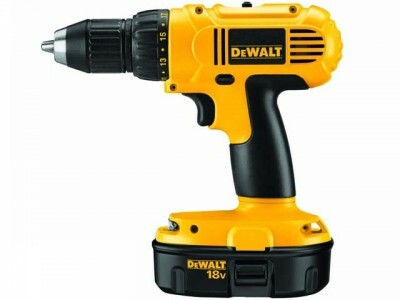 On the other end of the power spectrum, we have this PC 12 Volt drill/driver that really exceeded all my expectations. First of all, it can provide 220 inch-pounds of torque, which is well above average for its class, and the clutch has 20 different settings. 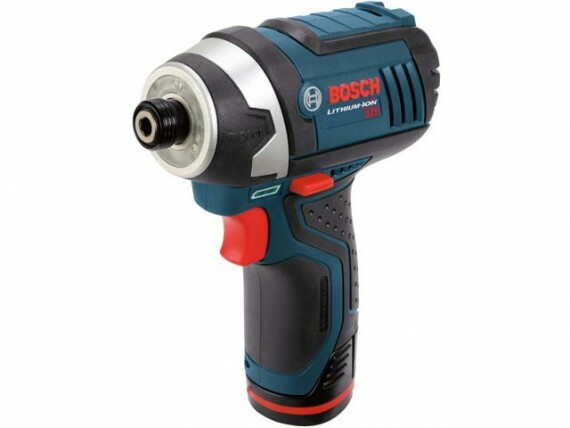 Yep, you read that right – 20 clutch settings on a 12 volt drill! It has a spindle lock for safety and it comes with two batteries and a quick (30 minute) charger to round out the package. This little impact driver is simply amazing. It is the most compact driver in its class and if it isn’t the lightest weight, it’s pretty darn close at only two pounds. It’s a mighty mini monster that can be used for all sorts of jobs including plumbing, hvac, automotive, electrical, hanging conduit, freeing rusted bolts, and drilling through stainless steel. Some of its “extras” include a set of 3 LED work lights that surround the chuck and built-in side bumpers to protect delicate work surfaces. Now, this little bugger comes with two batteries, a charger, and a storage case, so you get everything you need in one package. And with reports from users saying they’ve had this driver last 5 years or more with daily use, I don’t see how it can get any better. I have to say that this combo kit simply blew me away. 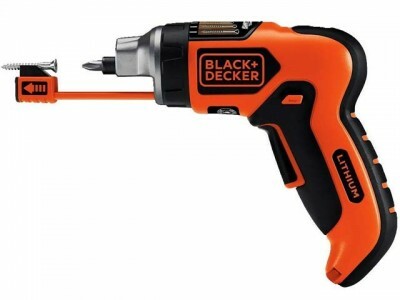 The hammer drill has a 1/2 inch self-tightening chuck with carbide inserts, and an all metal patented three-speed transmission that provides max RPMs up to 30% faster than other hammer drills on the market. 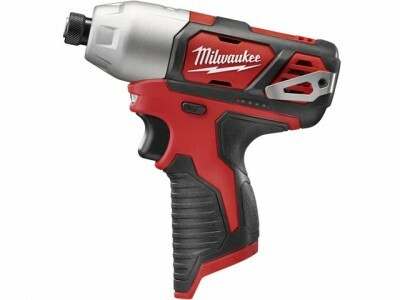 The impact driver has a 1/4 inch chuck that takes 1/4 inch hex bits AND 1 inch bit tips, and the motor’s max RPMs is up to 43% faster than other impact drivers on the market. Both tools have a set of three LED work lights that stay on for 20 seconds after the trigger is released, and they are part of DEWALT’s 20 Volt max Li-Ion contractor-grade line of tools. The combo kit comes with both tools, two batteries, a fast charging (30 minute) Energy Star qualified battery charger which will charge 12 Volt max batteries as well as 20 Volt max batteries, and a couple other extras for good measure. This combo is perfectly designed for light to medium duty jobs and it does them wonderfully. 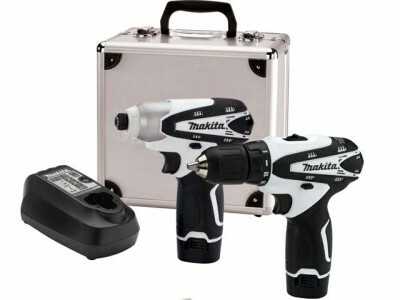 The drill/driver is Makita’s highly rated FD02W two-speed 3/8 inch drill driver with a keyless chuck that takes standard smooth or straight shank bits AND 1/4 inch hex shank bits. 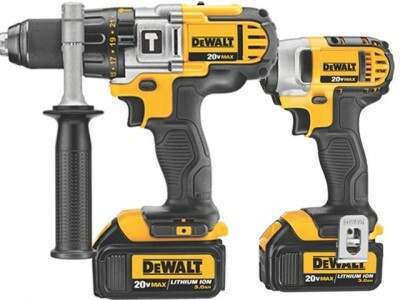 The impact driver is the DT01W ultra compact impact driver with great power and a soft ergonomically designed grip. 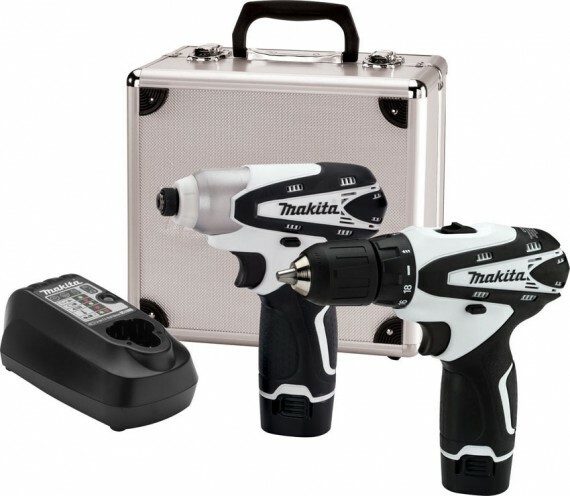 Both tools have earned astoundingly high user reviews, and the kit comes with two batteries, an Energy Star qualified battery charger, and an aluminum storage case. It’s an awesome light duty combo that would be a great addition to any tool collection. 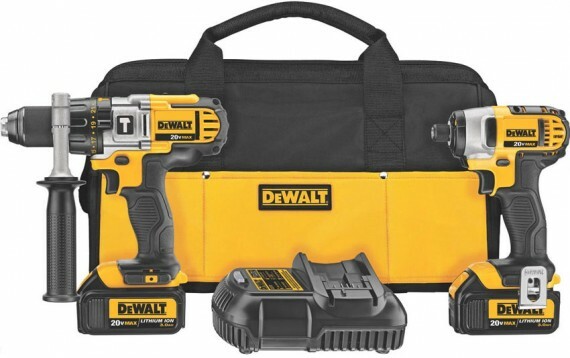 This is a great cordless screwdriver that comes with some really nice features and extras. Its six-position clutch and B&D’s SmartSense technology let you easily select the right amount of torque for your project so you can get the best performance without stripping screw heads, which I think is pretty awesome. The retractable magnetic screw holder helps you get the driver bit in place without dropping it (I’m clumsy sometimes, so I love this! ), and it comes with 11 different bits you can store right in the wall-mountable charging cradle. 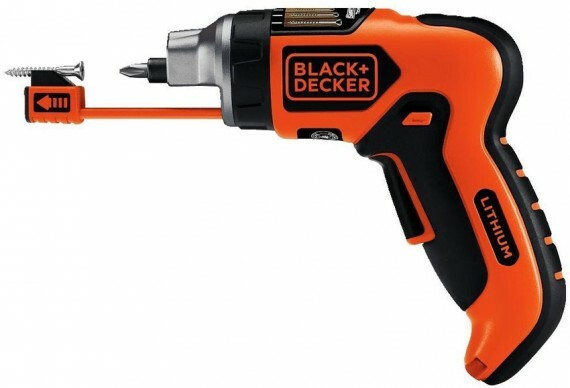 This is, by far, my favorite cordless screwdriver of all time. The convenience of grabbing my cordless drill is like dying and going to heaven. I’d gladly replace it every year vs (for me) going back to the stone ages. All my other tools are corded but they get very limited use compared to my drill. I may not have included everything you ever wanted to know about cordless drills, but I tried to put together as much important info for you as I could. If you already have an idea of what you’re looking for you can go right to the reviews, but if you need more in depth info about cordless drills and their family, how they work and what to look for, I’ve written and included several informative articles for you to stroll through. If you’re ready to jump right in, my simple buying guide can help you figure out just what you need to know to choose your new cordless drill. Will your new cordless drill stand the test of time or become your snazzy new tool-shaped paperweight? This article tells you what you need to know about your new drill, before you buy, to make sure it’s a keeper. Did you know there are actually three different types of batteries cordless drills (or any kind of cordless power tools) can be powered by? I know! Crazy, right? In this article you’ll find all sorts of info on Lithium-Ion (Li-Ion), Nickel-Cadmium (NiCd or NiCad), and Nickel-Metal Hydride (NiMH) batteries and what makes each of them unique. Manufacturers add all sorts of special features to tools and extra accessories to packages to make you think you’re getting something special. Take a peek over here and find out which ones are awesome and which ones are awful. If you’re new to the world of power tools, you might not be aware of who the major players are. This article will introduce you to some of the biggest names in power tools and what they’re best known for. Just for you, I’ve included this info about right angle drills – what they are and when/how to use them. 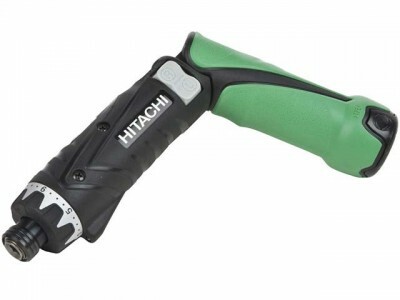 If you’ve never seen one, trust me – they’re pretty cool tools. Check ’em out! Going through all the reviews here can be time consuming, so if you just want to get down to the nitty gritty take a look at this handy chart that will only show you the top rated power tools reviewed on this site. 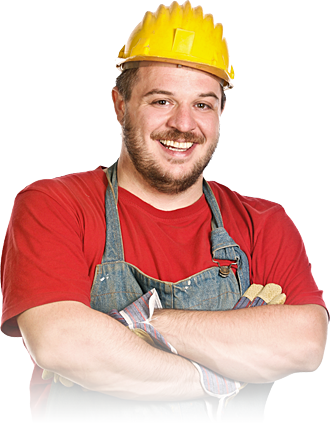 You can narrow down your choices by drill, (impact) driver and hammer tool so you can quickly and easily check out the recommendations for each category. I’m making it as easy for you as I can, folks. So check out the chart I’ve provided and find your favorites! Check out my reviews on the 10 best drills, drivers and cordless tool kits.